Happy Birthday to you (and us), Happy Birthday to you (and us), Happy Birthday dear Edna (and my snarky sisters), Happy Birthday to you (and us)!!! Can you believe it's been a year already since the Sisterhood of Snarky Stampers was born??? We had our very first challenge, "A is for Anti Valentine" on February 8, 2014...it's been a year of fun, laughs and LOTS of snark! We've had some awesome Guest Designers, Queens and Princesses of Snark join us along the way (thank you ALL!!!). 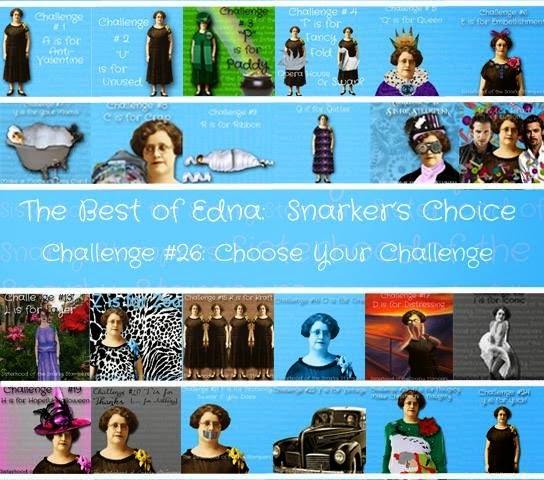 Visit the SoSS BLOG for all the details on the "SNARKER'S CHOICE" challenge and be sure to share some crafty lovin' with my sisters won't you?? I recently bought some awesome vintage / retro (and snarky to boot!) stamps from Riley & Company and had so much fun making this card...I made a bunch more to go with it!! Would you believe I only used one 12x12 piece of design paper to make all of these cards...plus one more because I had a piece left over. Want to play along with us at SoSS?? Of course you do!! Maybe you will be our next Queen or Princess of Snark!! Our wonderful Sister Lee has made the challenge even easier for you...she has set up a page on her blog with a list of ALL of the 2014 SoSS challenges. Click HERE to check them out! All of them are fabulous, I don't know which I would pick for my fav. Great job with the challenge. Loving all the snark! Great cards! Funny bones stamps are my fav! ROTFLMAO! I'm definitely checking out your stamp source! Great cards! And now, I need to go stamp shopping! I love ALL of these cards! You rock! I think I need that stamp set. Great set of cards. The sentiments are fantastic! I have to get them! Great way to use that patterned paper! 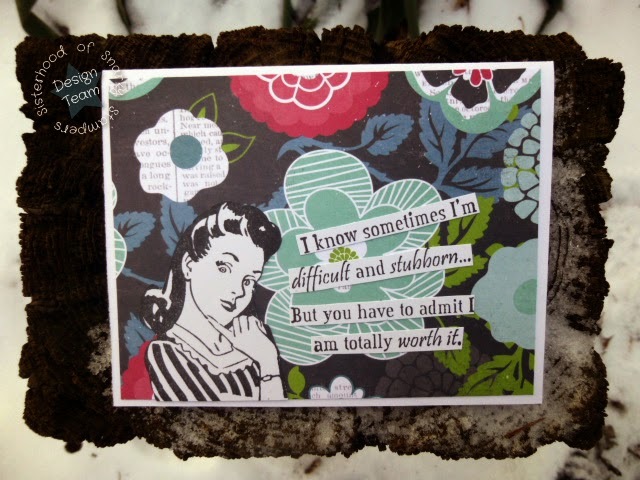 I just treated myself to some Riley & Co sentiments as well! The ones you've used are so delightfully snarky. 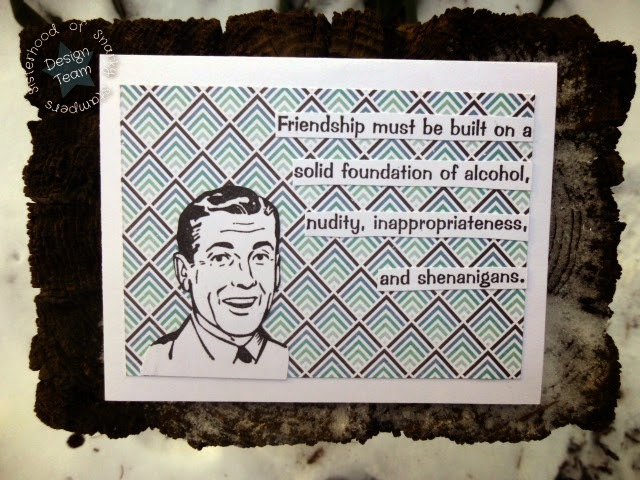 Love these cards! Riley's Funny Bones & Retro Folks are the bomb! 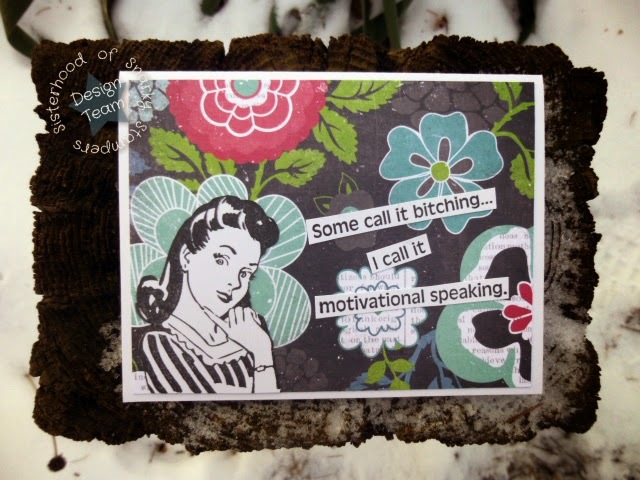 Love your cards & I really want to join the snarky sisterhood! I'm getting my card ready ASAP! LOVE this! I looove the snarkiness of the sentiments. 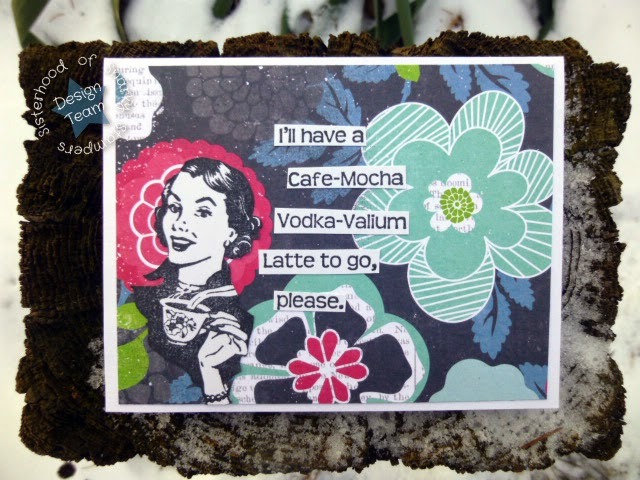 The vodka-valium latte made me lol and I think I will ask for that next Monday at Starbucks... Should take the edge of the start of the week methinks.